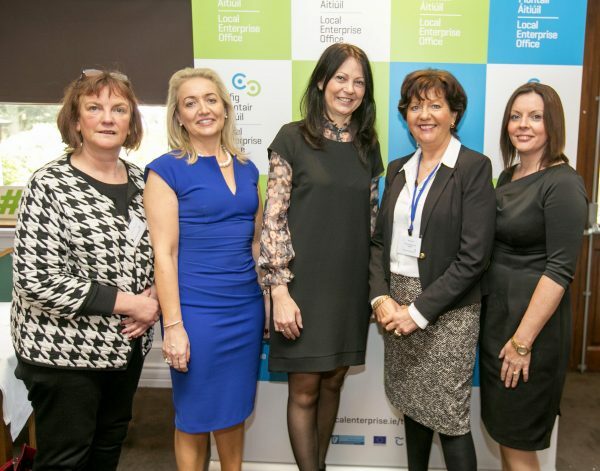 Local Enterprise Office Tipperary teamed up with LEOs in Counties Clare and Limerick to organise an event for aspiring female entrepreneurs and female-led businesses across the region at the Lakeside Hotel, Ballina, Co Tipperary on October 12th. 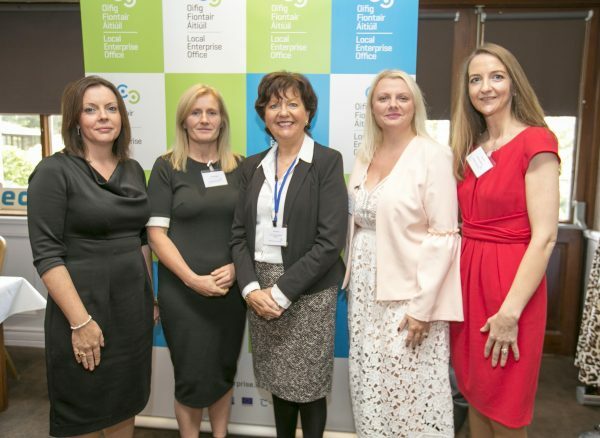 Key note speaker for the Mid-West event was Chanelle McCoy and other special guests included; Celia Holman Lee, The Holman Lee Agency and Catherine Duffy GM of Northern Trust. 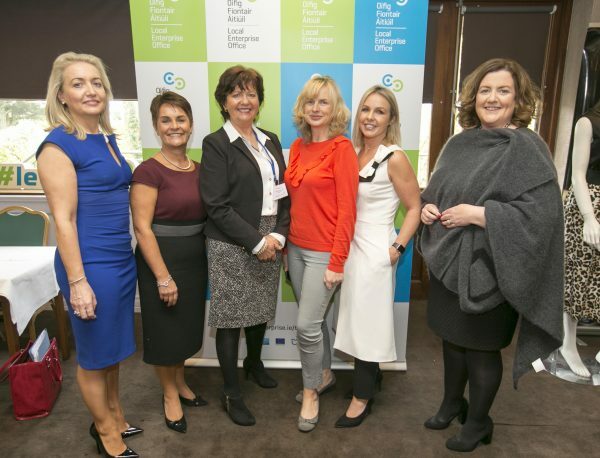 The event was one of fifteen LEO-led events which took place across the country to mark National Women’s Enterprise Day. ‘Open doors to new markets’ was the theme for National Women’s Enterprise Day in 2017 as the Global Entrepreneurship Monitor (GEM)reports that 27% of early stage female entrepreneurs in Ireland expect to get more than a quarter of their revenues from overseas work. The LEOs have a range of supports that can help businesses to realise those expectations and local events will feature female ambassadors who have already successfully availed of some of those supports. Chanelle McCoy of Chanelle Medical Global, spoke about having the “Go Getter” attitude and how the “fear of failure” can be a great motivator. Celia Holman Lee of the Holman Lee Model Agency, gave an honest account of her experience as a business woman. She inspired ladies with her story of determination and innovation over her career as a business woman. Catherine Duffy, Managing Director Northern Trust gave an informative presentation where she spoke about the juggling of personal and business life. She also encouraged the delegates to be confident in what they do, their skills and their capabilities. A Female panel discussion took place with entrepreneurs Margaret O’Connor, Quigleys Bakery, who spoke about the importance of hard work. Tara Lee Byrne, Wicked Whole Food, discussed the difference of being passionate about a business and being emotionally connected to a business. Alison Banton, Brook and Shoal, spoke about the history of her business and explained how the name of Brook and Shoal was inspired by her Grandmother. Stephanie Shine, Samco shared what life was like growing up in a family business and how the business now supports all family members. Marion Murphy Cooney of Marion Murphy Cooney Designs thanked those who had helped her in the past, especially those who wore her designs in the early stages. She stressed the importance of reaching out and asking for help and finding PR in the most unlikely places. Aileen McGrath of One Little Studio presented an informative presentation when she highlighted the importance of integrating a digital marketing strategy. She advised the group not to be intimidated by digital marketing and that it is an imperative part of business strategy in today’s world. 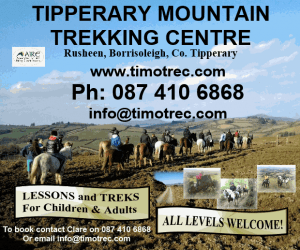 Theresa Mulvihill, Smart Marketing Limited, facilitated an activity based networking event which had all 135 delegates networking, negotiating and creating contacts and networking opportunities. 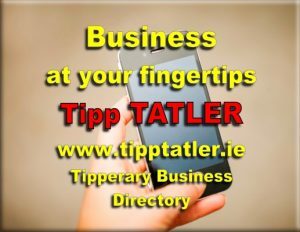 All 31 LEOs, including Local Enterprise Office Tipperary are behind the initiative and together, they jointly supported over 14,000 female entrepreneurs in 2016. LEOs are enlisting the help of established female entrepreneurs to act as Local Ambassadors and share their success stories.